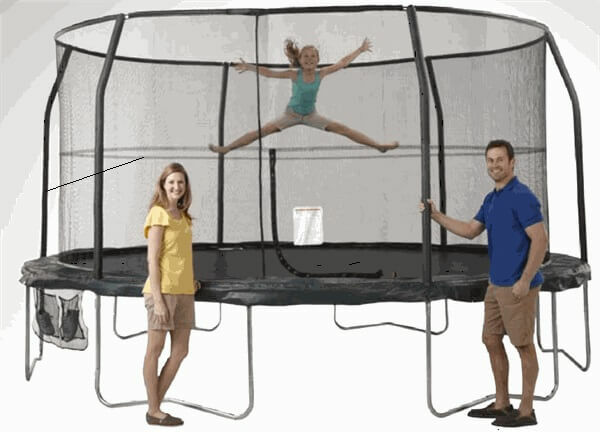 The trampoline comes with a conspicuous enclosure, which is one of its main selling points. 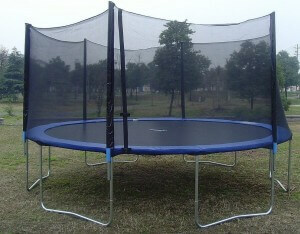 The enclosure is Skytric’s own proprietary (actualy Upper Bounce) “Top Flex Pole Enclosure System”. It is supposed to offer greater stability and security to the users. It is made with galvanized steel, which should make it more durable and less prone to rust and other damage. The frame, the poles and the legs are all coated in durable galvanized powder. 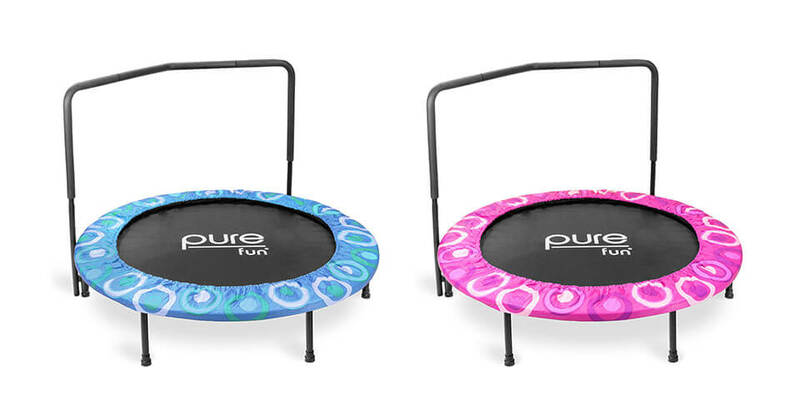 The poles are safety foam padded, which is a standard for pretty much all trampolines, especially in this price range. The net comes equipped with double zippers, meaning it can be opened both from the inside and outside. It is double reinforced and we are confident it will last for a long while. The net is made of Terylene mesh. 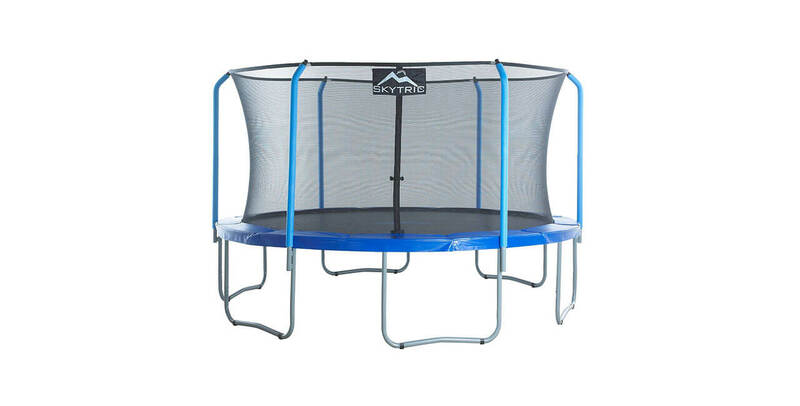 It is installed inside the trampoline, ensuring you don’t come into contact with the springs. It is a familiar “no-gap” system and works great. 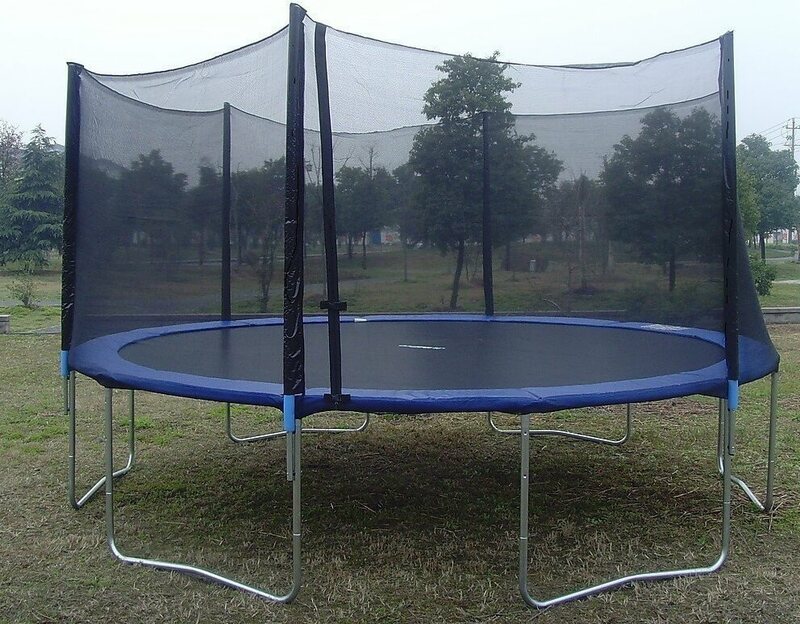 The net is attached to the trampoline at V-ring spring clips. 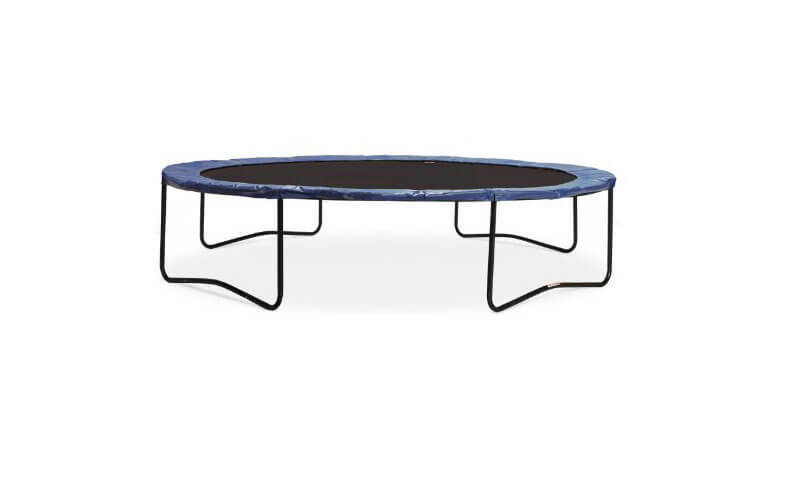 The trampoline is quite large – it is definitely an outdoors trampoline. With the enclosure installed, it measures 108 inches in height, the frame itself is 34 inches high. This means the net is 74 inches high. It comes with six legs and features 96 springs, each being 7.5 inches long. 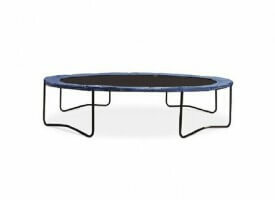 The trampoline can support weight up to 330lbs, which is more than respectable, but a tight fit if more than one full-sized person is to bounce on the trampoline, scenario we do not support when it comes to safety. 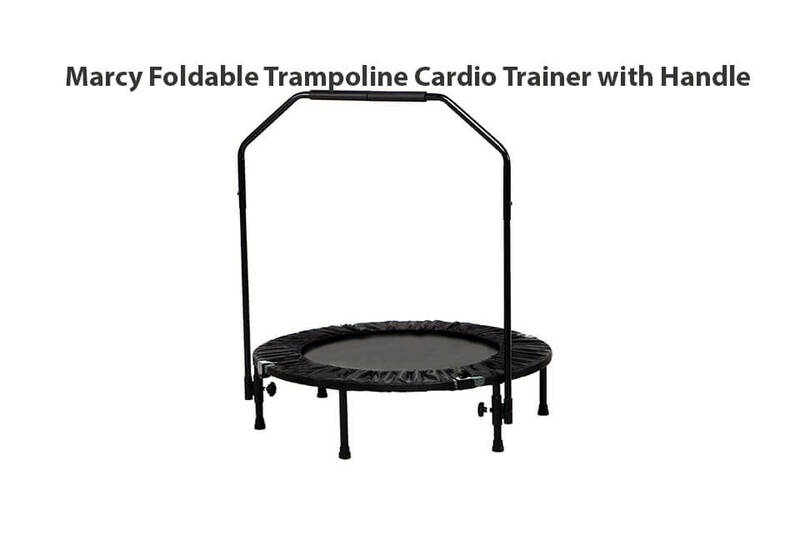 The trampoline, unfortunately, does not come with a ladder. It would have made a nice addition, especially in this price range. There is a total of 159.45 sq. in. 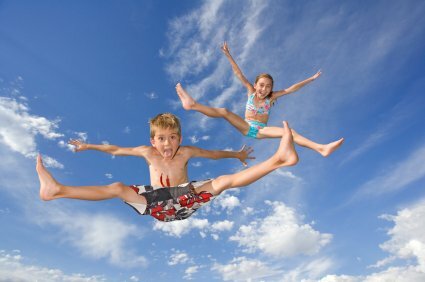 of jumping surface. The mats are made of very durable polypropylene mesh material with 8 rows of stitching. It features multiple rows of stitching and we cannot really imagine a scenario in which it would tear. 96 galvanized springs work in tandem to provide a good bounce. It is very responsive and the energy transfer is great. We felt as if we were jumping a bit higher on this trampoline with less effort than with the competitors. We haven’t really tested the claim, but the manufacturer states that they are resistant to cold weather and will therefore not need replacing as often. 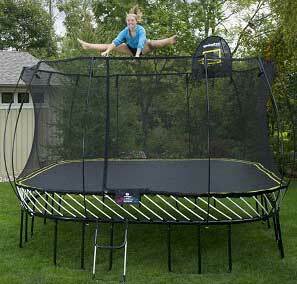 As specified before, there are 96 (7.5 inches long) springs, which is average number on 15ft trampolines. Adequate safety pads cover the springs – the protective foam is 1 inch thick and is enclosed in PVC and PE material. It will absorb the forces from any accidental missed landings and other mishaps. 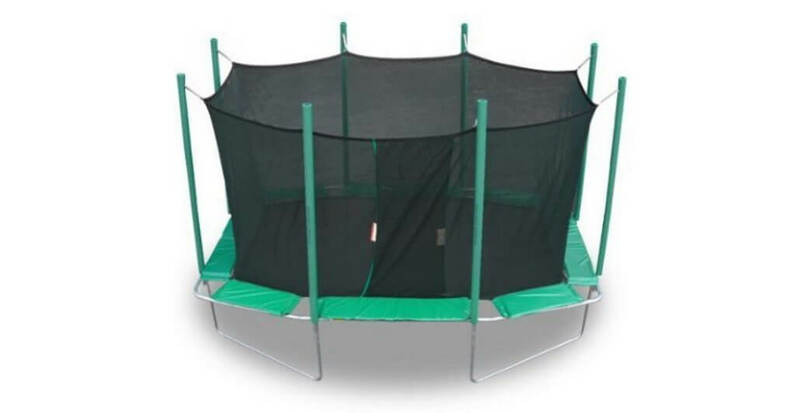 The trampoline comes with all the necessary tools (a screwdriver and T-hook (spring tool), as well as the instruction bookled) and parts needed for self-assembly, but bear in mind that considering the size you might want to ask a friend or a family member for an extra pair of hands to aid you. 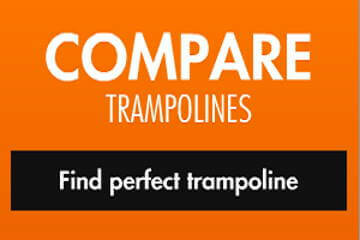 The upper parts on the trampoline do not require screws or tools for assembly. Assembly manual also available here. 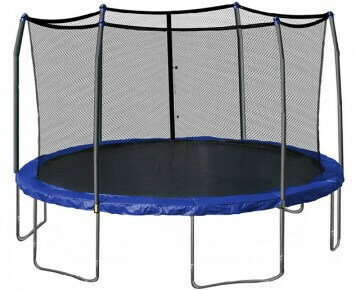 Regarding the warranty, there have been cases of customers having to ship back the entire trampoline in lieu of receiving a broken spare part… While we hope nothing will go wrong (and it certainly does not seem likely, as the trampoline is well-made), it’s good to know that you might encounter a few issues with the customer service. 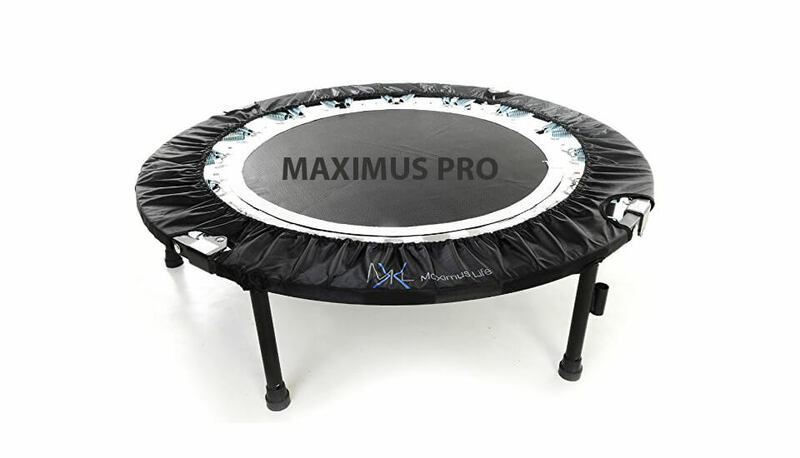 We hope problems like that won`t occur anymore as Upper Bounce is respectable manufacturer and can`t afford those kind of incidents. 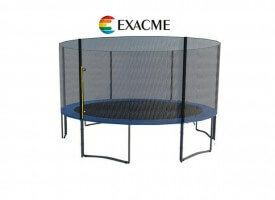 Springs: 108 pcs, 7" 96 pcs, 6.5" 96 pcs, 7"
We are confident to say that the Skytric Trampoline is a good one. The bounce is great and it looks really good, too. 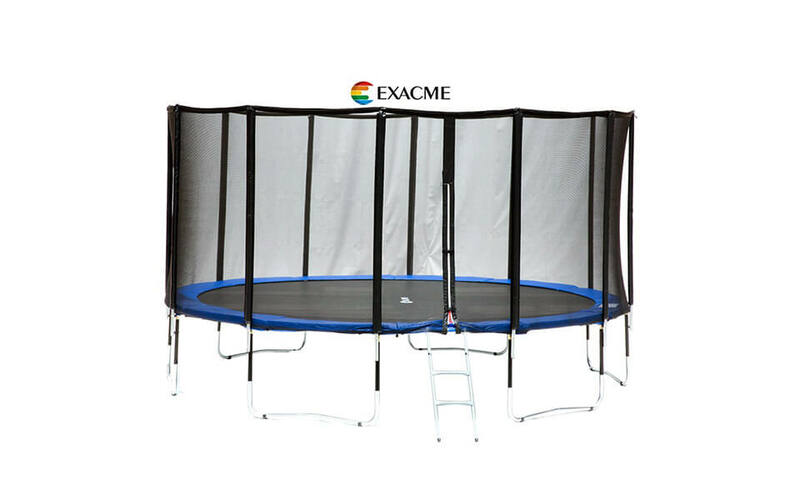 The enclosure and the accompanying net provide good safety and all the parts are made of high-quality materials, with durability in mind. That said, the trampoline is a tad pricey (about $530) and there have been issues with the warranty service. 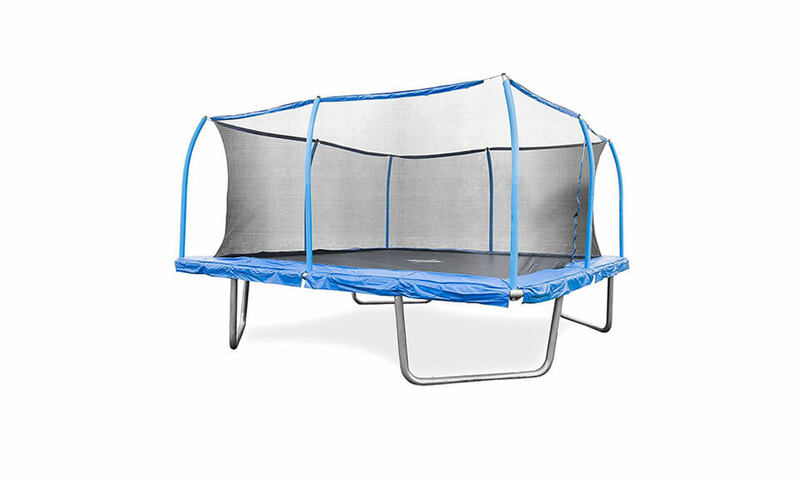 Still, it looks like a good buy – it’s well-made, easy to assemble (this is a significant factor with trampolines this big) and very fun to bounce in. 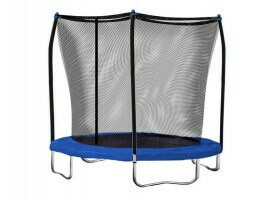 Overall, we fell you cannot go wrong if you purchase this model.